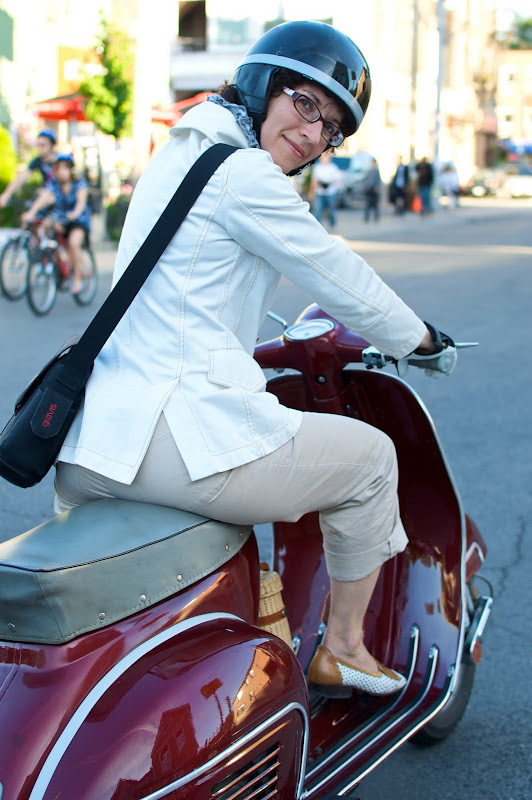 CBC Metro Morning's Mary Wiens confidently dashed through Queen Street traffic on her polished Vespa. Although I was on my bike, her impeccable style compelled me to catch up to her. A few blocks later, I did. After she humbly inquired if it was her Vespa I really wanted to photograph, I was pleased that she agreed to appear on TorontoVerve and share her fashion style. "I picked up this Italian 80's Ice jacket at the Vintage Clothing sale, these Italian shoes were purchased at Mrs. Huizenga's in Roncesvalles and my pants were made by Toronto-based designer, Ewanika, originally from Winnipeg." 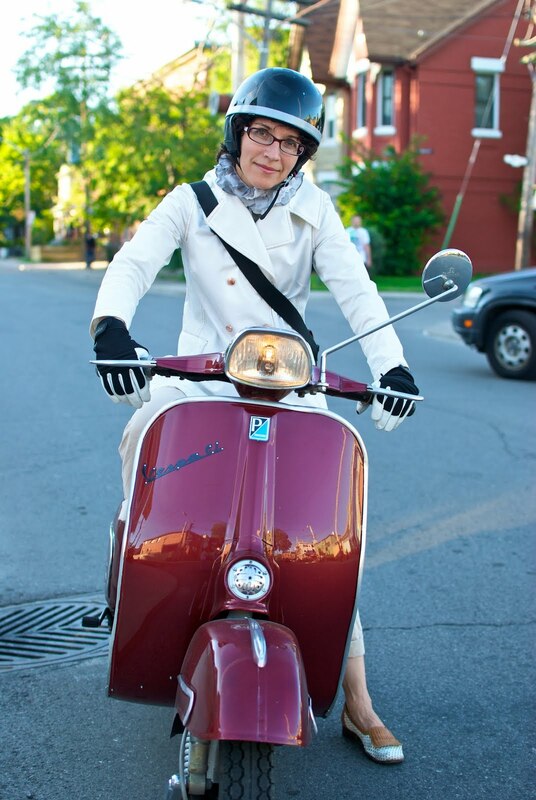 Learning her love for all things vintage, it came as no surprise that her Vespa was vintage too. "I've always been a cyclist so it was a delight to find this 1963 model at Motoretta on College." I'm a huge fan of the humanism that underscores Mary Wien's approach to journalism...and now I equally admire her exquisite sense of style! Wonderful capture in the moment! Wonderful capture of a wonderful woman ! I totally love her vespa!